A headed goal from Danish World Cup hopeful Jonas Knudsen in the 54th minute following a corner won the game for the home side. But it was McCarthy who grabbed the headlines after he was quizzed about the fans' negative reaction to the 56th-minute substitution of debutant Barry Cotter. The former Republic of Ireland boss, who was already due to leave the club at the end of the season, retorted: "I won't have to listen to that again, that's my last game - I'm out of here." Reacting to boos when young defender Cotter was substituted in the second half, McCarthy said: "It was a disgraceful reaction, that, but I won't have to listen to it again because that's my last game. I'm out of here." "I spoke with Marcus (Evans, owner) at the weekend and we agreed that it was in the best interests for me, the players and the club that I move on now," McCarthy said in the website story. "I said I would see the season out but it's been a new experience and it's not one I have been enjoying to be honest. "I have continued to do my job to the best of my ability but there is something missing and I'm not comfortable with that. "I have had a great time here and worked with some great people and to all those who have given me wonderful support over the last five and a half years - and there are many - I want to put on record my personal thanks. "The players here can look forward to a new challenge with whoever comes in and I want to wish them, the staff and the club the best of fortunes." 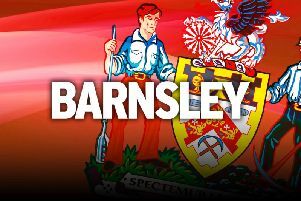 McCarthy was linked with his hometown club Barnsley before the appointment of Jose Morais, who saw his side's hopes of Championship survival take a hit with Tuesday's result.